NBC Chicago and Ward Room bring you profiles on the 18 wards heading into a runoff election April 7. 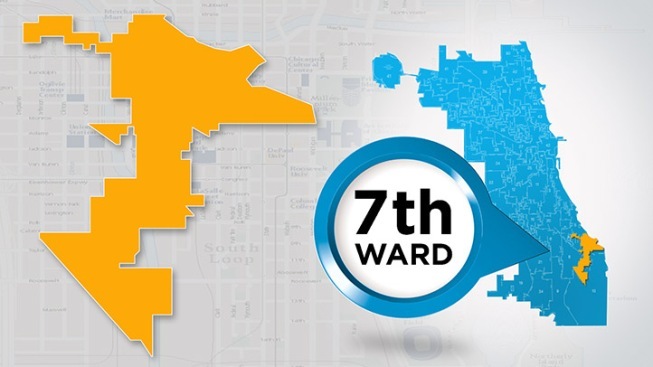 In this profile, learn all about the 7th Ward. Amalia NietoGomez, executive director at the multicultural and interfaith coalition Alliance of the Southeast (ASE), says that employment opportunities via lakeside development are of primary concern in the community. The proposed lakeside development comes with a community benefits agreement ensuring more job opportunities, affordable housing and quality education for children through STEM and vocational programs. How Ward Typically Votes: Sandi Jackson was first elected alderman in 2007, but she was replaced by Natashia Holmes in 2013 when she resigned after she was charged with tax fraud along with her husband, Jesse Jackson Jr. Sandi Jackson won 57 percent of the vote in 2007, defeating Darcel Beavers (33 percent), Ron David (8 percent) and Eric Brown (2 percent). In 2011, Jackson won 53 percent of the vote, defeating Darcel Beavers (26 percent) and four other challengers.